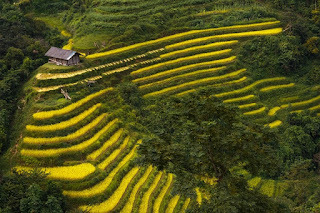 Among some of the most beautiful terraced rice fields of all Asia. This region of Vietnam is very important for the entire country, thanks to the production of rice made possible through terraces letting to grow this crop also along steep mountain sides. 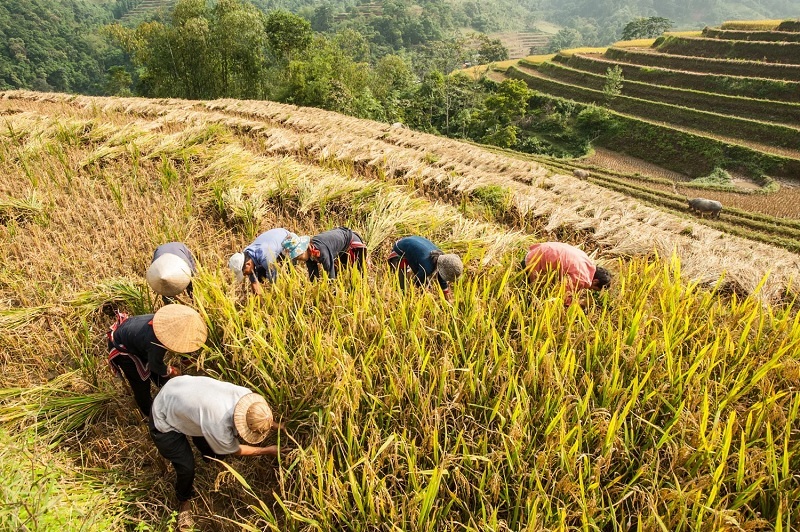 The scenery is particularly stunning between late September and early October, when the rice is ripening and farmers are busy in harvesting. 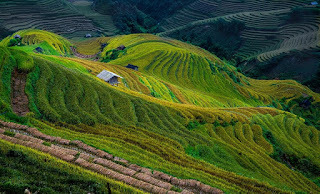 If you travel in Vietnam at the right place and right time, you will see the amazing rice terraces in Sapa, Mu Cang Chai, Y Ty and Hoang Su Phi which are so beautiful and you will definitely have some great photos. After the breakfast, we will bid farewell to the host family and make our way to Sapa. We will have some stops on the way for photographing today such as Than Thuoc Tea Plantation, O Quy Ho Pass, Silver Waterfall... Have lunch at a restaurant upon arrival in Sapa. In the afternoon, take a trek on the concrete path to Ta Phin Valley. Late afternoon, check in your hotel and stay for the night. 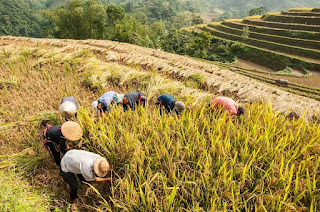 This morning, together with your tour guide you will have a nice trek down the valley of Muong Hoa to visit the rice terraces and hill tribe village of the Black H'mong at Y Linh Ho and Lao Chai Villages. Get back to Sapa town for lunch and drive to Bac Ha in the afternoon. Check into your hotel and relax. Overnight at a hotel in Bac Ha. , you may be woken up early by the domestic animals such as roosters, pigs, dogs... Have breakfast at the home-stay before starting our morning trek down to Thong Nguyen. There are some more terraces to view today but it will be a bit less impressive while we gently descending the mountains. Around noon, we arrive at Pan Hou Lodge, check-in and relax for the afternoon with traditional massage and herbal bath. Dinner and overnight at the lodge. Ending a 9 days journey brings you a lot of exciting experiences, memorable moments in life. 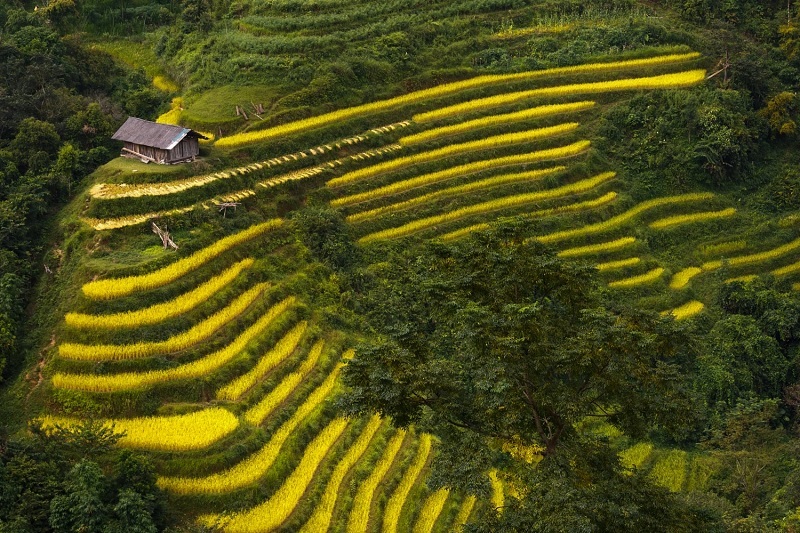 Do not miss the glorious moments of nature in this year's harvest in the mountains of Northern Vietnam. Contact us for advice and questions about Vietnam travel.